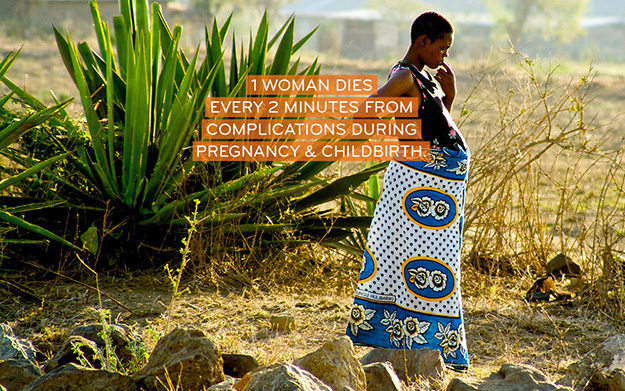 As they often are, the statistics that sparked the action to address them are as heartbreaking as they are frightening: Of the 289,000 women who die every year as a result of childbirth—that's one woman every two minutes—98 percent could have been saved by basic access to transportation, supplies and education. Having endured a childbirth complication herself, Turlington Burns directed and produced the documentary No Woman, No Cry about maternal health challenges that impact the lives of millions of girls and women around the world. EMC sprang from her work on the film, and her advocacy landed her on Time's 100 Most Influential People in 2014. She was also one of Glamour magazine's Women of the Year in 2013 and one of Fast Company's Most Creative Minds in 2013. Prior to her work as a global maternal health advocate, she co-founded public health campaigns about smoking cessation, launching an award-winning website, SmokingIsUgly.com. EMC's mission is not only defined by how many people it reaches, educates and inspires, but also by the actions taken by individuals to raise awareness through social media, running and organizing events, or buying a product that generates a donation. And finally, the organization follows and measures the impact realized in the lives of women in need. EMC says it invests every dime of the funds raised through individual donations and product partnerships into programs that directly impact one of three critical barriers to maternal health around the world: lack of education, transportation and supplies. Invested in programs in seven countries, including the U.S., EMC remains committed to staying directly involved and to bringing stories of success back to their supporters regularly so they can see exactly where their dollars are going. "At Every Mother Counts, we are all about the multiplier effect," says Turlington Burns. "The more individuals we can inspire to join this movement, the greater impact our grant portfolio has on our partners around the world. The more content we create to educate those individuals about proven solutions, the more lasting that impact will be." Thousands of EMC supporters run for the cause. The seven current impact grants are: Ancient Song Doula Services (Brooklyn, N.Y.), providing comprehensive doula care, nutrition classes and group support to low-income at-risk women of color, and conducting community doula training; We Care Solar and Foundation for African Medicine and Education (Tanzania), providing 30 rural health centers with solar-powered electricity, and providing the FAME Hospital with comprehensive pregnancy care and safe delivery, patient education and healthcare worker training; Partners in Health and Midwives for Haiti, training new skilled birth attendants, supporting a rural community clinic and educating existing health providers in pregnancy, labor and delivery care; Nazdeek (India), which mobilizes activists and lawyers to document maternal health rights violations and secure legal judgments mandating better healthcare for mothers; Commonsense Childbirth (Florida), providing prenatal care and childbirth education for low-income, at-risk mothers in central Florida; Baylor College of Medicine Children's Foundation Uganda, furnishing transportation vouchers to pregnant women, enabling them to get to a clinic for full prenatal care, safe delivery and follow-up visits; and One Heart World-Wide (Nepal), sourcing solar electricity in clinics, supplies and essential medicines for safe pregnancy and delivery, and blankets and hats for mothers and babies, via a special emergency response grant. 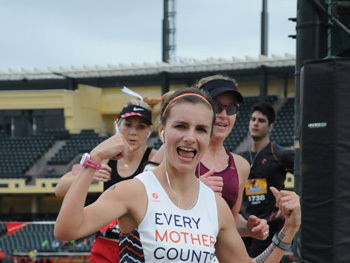 "We are committed to raising awareness about the value of healthier women in society, and for those who do become mothers, we recognize the greater potential they have to impact our global communities when healthy and supported," says Turlington Burns.